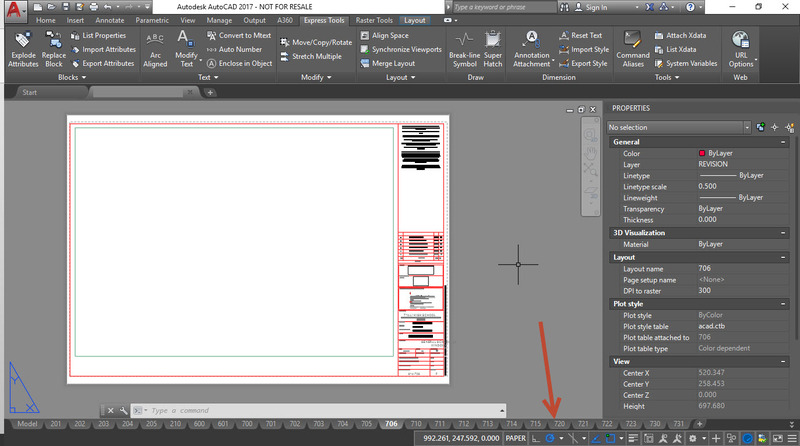 A client phoned in and had an issue whereby one of the AutoCAD attributes within a title block he was working on had a problem with its positioning. He did not change anything and on older versions of the drawing it was still fine. If he had only one title block in the drawing it might have been easily fixed by just editing the block and recreating the problematic attribute. But as problems go, he had more than 60 sheets each with a copy of the title block with a different value inside each attribute and he did not want to edit each of the 60 versions of the attribute. 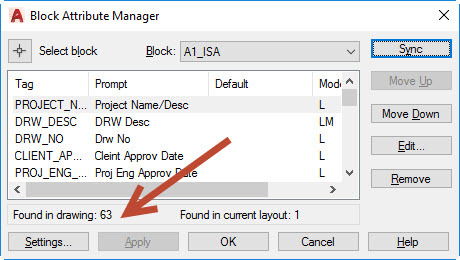 I assume you could also have solved the problem many ways for instance to redefine the block but after fiddling and googling a bit I found the solution whereby you could simply synchronize or refresh the attributes within the block using the AutoCAD Block Attribute Manager also known as ‘Battman’. Here is a screenshot of an empty layout of the problem drawing. 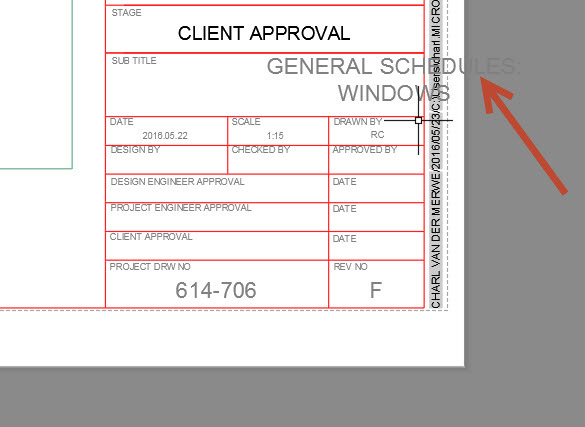 Please note the number of Layouts as shown and also the problematic attribute in the second screenshot. The solution is to type the command called battman in the command line and press enter. 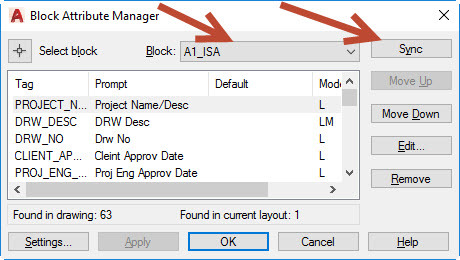 Then select the block name to focus on. In our case the titleblock with the issue was called A1_ISA. Then simply click the Sync button and the problem attribute got fixed. It fixed the problem in all 63 layouts. Note In the screenshot below it lists the 63 instances where this Block was found and synced.